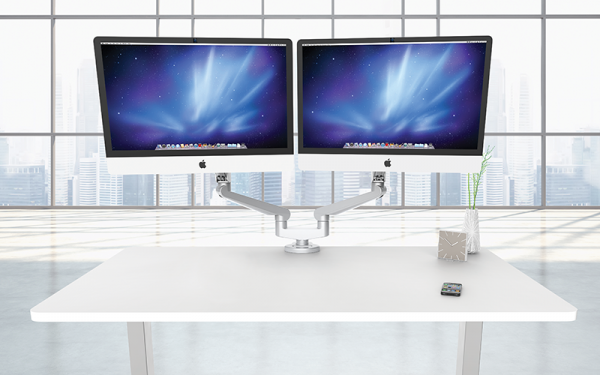 Maximize your worksurface space with Edge series monitor arms! 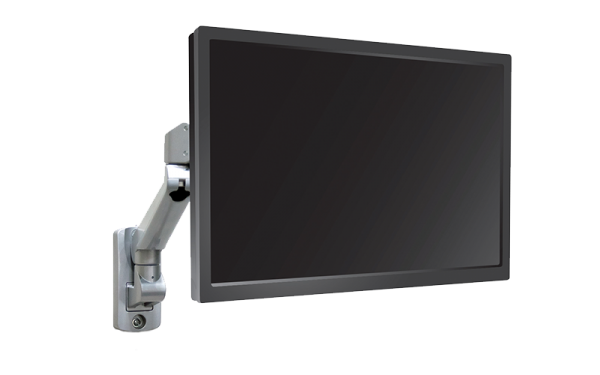 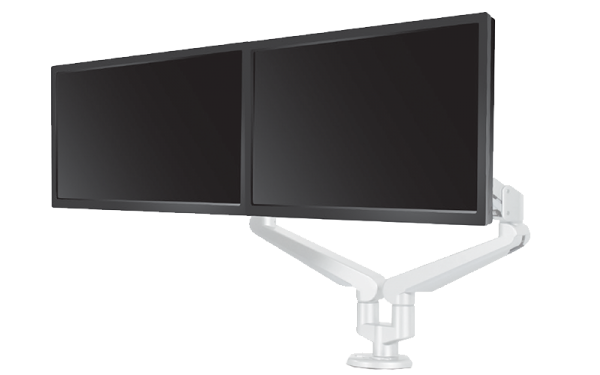 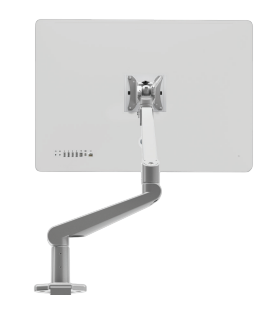 The Edge single monitor arm offers dynamic, finger-touch adjustments to give users the ability to control the angle, distance, and height of a monitor for comfortable viewing. 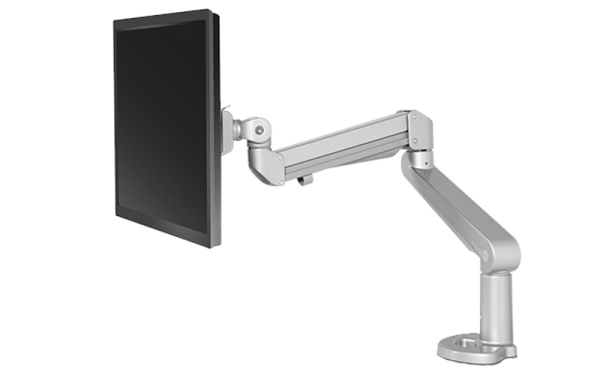 Available in Silver, White, or Black.